I have been very remiss. I was wondering why no one commented on this blog. Turns out that an awful lot of people have, but the comments have all been “awaiting moderation.” I had no idea until today, Feb 1, 2018. If you asked me a question, I’m sorry I didn’t answer it! I’ll try to get to the recent comments RSN. Way back in 1993, I wrote this piece of fiction as part of my novel, FREEZE FRAMES, originally published in 1995. It contains my vision of what might happen in a United States dominated by Christian Dominionists. Now, unfortunately, it seems relevant again, so I thought I’d put it up here. One of the problems with writing science fiction these days is the speed at which technology changes. You’ll notice that no one in this story has a cell phone. There are other discrepancies, but I hope they don’t get in your way as you read. 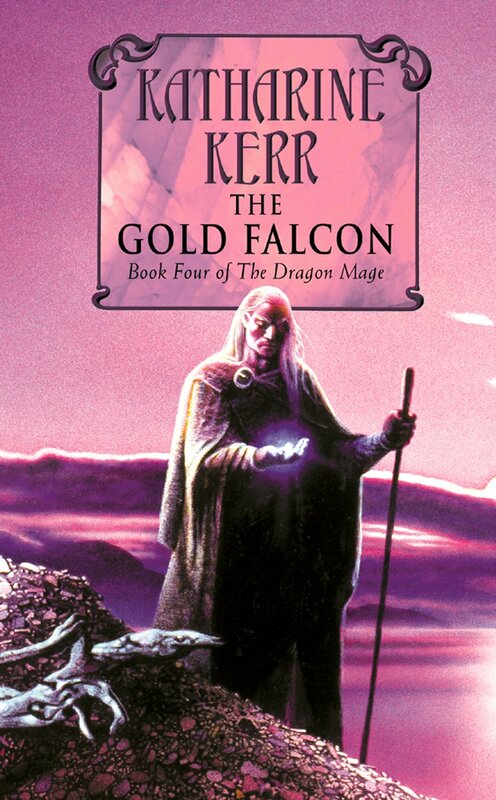 Beyond the “Continue reading” link, SPOILERS abound in this post for several Deverry books, especially DAGGERSPELL and of course the FALCON itself. Yes, Kathryn Jordan is me, Katharine Kerr. People ask me why I put a different name on FLICKERS, my new book due out from Kensington Press at the end of March. The book is so different from all my other work that I wanted to avoid confusing possible readers. Someone who enjoyed FLICKERS might be appalled by the violence in DAGGERSPELL, for instance, while someone who loves the Deverry books might not care for this straightforward historical novel. 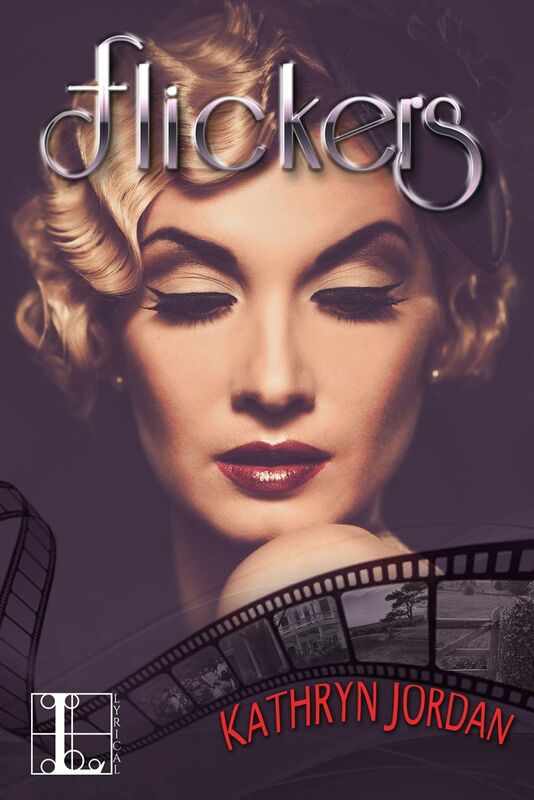 FLICKERS takes place in Southern California at the beginning of the Twentieth Century when the new industry of the silent film was just taking shape. The book opens in 1913. Film studios stood scattered up and down the California coast. (Hollywood was still a “temperance town” founded on strict Baptist principles.) My fictional town of Santa Luisa, based on Santa Barbara, has only a few sources of jobs and incomes: the lemon groves, the movies, and the little colony of very rich people who have built winter homes to escape the snows of New York and New England. At the core of the book lies a love story, between the daughter of one of these rich families and a young cameraman at the studio. Violet’s family pressured her very young to marry a respectable businessman, but she can’t forget the boy she loved as a child and teenager. Jack can’t forget her, either, and schemes to pry her away from her husband, even though divorce is a terrible, scandalous thing in her time and world. As important as the love story, though, are the flickers, as the films were known. The “movies” in those days were the people themselves who made the films. Violet’s brother-in-law, Tip Rediston, gets drawn into this new world as he makes a name for himself as an actor, a handsome leading man who gets fan letters from lovesick young girls. But Tip has a secret that’s even more scandalous than divorce in this time and world, one that could even send him to prison. The three of them find themselves drifting away from the safe little worlds in which they were raised. It’s dangerous enough — and then comes World War One to change everything. 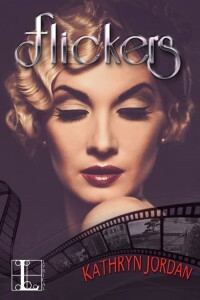 FLICKERS by Kathryn Jordan, ebook for 4.95, POD great big thick trade paperback for $24.95. From the Lyric division of Kensington Press, available March 29, 2016. I’m so pleased to have brand-new website where I can put up blog posts. Now all I have to do is find the time to write some. I’m also hoping to have the occasional guest blog by writer friends who have thoughts they’d like to share widely. For starters, though, I want to post a blast from the past, a short article I wrote back in 2002 for a magazine called THE SWAN, which was, if I remember rightly, an Australian publication. I’m putting it up because it’s still topical, thanks to all the fuss about Tariel in Peter Jackson’s Hobbit movie. Tolkien’s Lord of the Rings created modern genre fantasy. No author I know would argue with this proposition. Before the appearance of his work in the 1950s, English-language fantasy novels abounded, certainly; these books tended to fall into two major classes (rife with exceptions, as all such generalizations are). 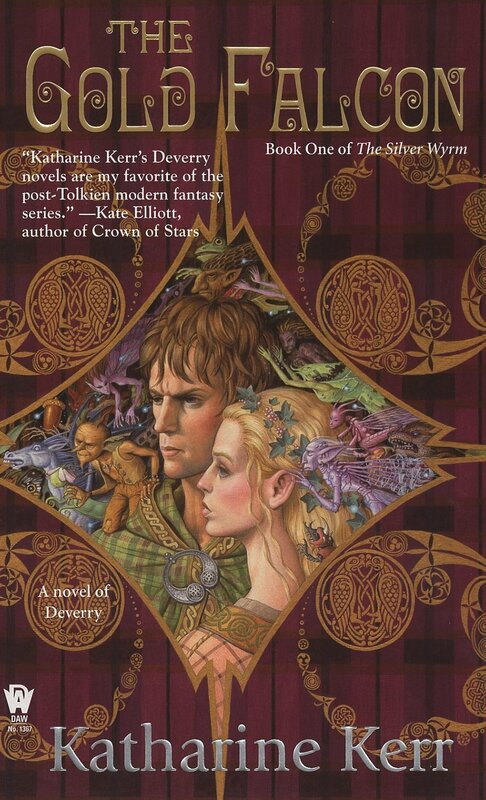 The first we may call literary fantasy, ranging from William Morris, through Tennyson’s idealized Arthurian poems, or in a more mordant vein, James Branch Cabell and John Crowley. 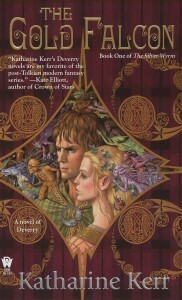 The second, the ancestors of our genre fantasy, tend to be clumsy wish-fulfillment, such as the Conan books, or dreamlike modern fairy tales, such as Lord Dunsany wrote. Lord of the Rings was something very new and very exciting, an attempt to create a powerful mythology, set in our world but at some vastly ancient time, as if it were Europe’s equivalent of the Australian Dreamtime. Language lies at the core of his work, as do creatures and sapient beings drawn from the world of Northern European legend: the alvar (elves), dweoger (dwarves), vargr, goblins, and the like. To Tolkien these words and legends were the last remembered remnants of the Dreamtime that he then expanded into, as it were, a recovered memory. 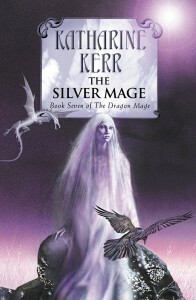 Along with the emotional and literary success of these books came commercial success – heaps of it. The money, unfortunately, inspired a number of imitators who extracted a shallow formula from the works and then ran it to death, giving modern genre fantasy a very bad name indeed. Those of us who’ve chosen to labor in the same vinyard are often accused of merely imitating Tolkien’s world, just as if he’d invented the ancient themes and the sapient beings he made such brilliant use of in his work. That we write modern fantasy not to get rich but because we love it, that we consider him the Master but want to create something different than he did, that in fact some of us have quarrels with the Master – these simple ideas are apparently too difficult for these particular critics to grasp. Leaving them behind, therefore, let us consider these quarrels, or more specifically my quarrels, since I can’t really speak for any other author. Let’s start with the women. Yes, there are a few women in the books, especially in the Shire: Rose Cotton, Lobelia Sackville-Baggins, and a faceless crowd of hobbit women who produced all those hobbit children who love fireworks. Once we travel beyond the Shire, we have Eowyn, Galadriel, Goldberry, and Arwen. Galadriel and Goldberry both are magical figures, part anima, part goddess, who between them define the Earth Mother and the Spiritual Guide. They are brilliantly done, but they are not real women. (There is a reason for all these capital letters, so bear with me.) Arwen is a bare sketch of a person, the Destined Bride, whose husband and mother define her entire life, at least in the books, and I’m not discussing the movie here. This leaves Eowyn, the woman who wants to be a warrior and help save her people. She does come alive, though her creator seems to think she wants to fight only to be near the man she can’t have. Thus she’s charged with going beyond her station by trying to contribute to the fight against Evil. Risking her life and killing the Nazgul isn’t enough to win her a place anywhere but in the home and any honor beyond being loved by a Good Man. In any culture there have to be women somewhere, if only to bear the boy babies who will grow up to be the important people. Tolkien does give a nod to this truth. Consider Minas Tirith for a moment,that magical fortification, set in a perfect location and beautifully fortified to protect those who live in it. Now, consider that orcs are ravaging around the countryside at the time of our story. Why in hell have all the women and children been sent out of the city? They are in far greater danger out than in. I suspect that Tolkien just plain didn’t want them there, that writing about the reactions of those women, even as nameless minor characters, was a job that either he either didn’t want to do or, more probably, didn’t realize needed doing. Here we see the influence upon Tolkien not of myth, but of the British public school system. Like CS Lewis, Tolkien grew up in an all-male atmosphere, fought in the masculine hell of WWI, and came home to work in a university peopled mostly by men. He was happily married, yes, and apparently he thought that all women everywhere had the same ideals and goals as his wife: a suburban home, children, a security such as she’d not had growing up, like him, an orphan. Many men do sort women out into brand names, for example the Madonna, the Bad Girl, the Angel in the House, and Tolkien seems to have a worse case of this disease than most. Be that as it may, his world is one where men act and women wait. But the men, when you come right down to it, are no more fully realized individuals than the women. They tend to be archetypes and just plain types as well: the Dispossessed King, the Mighty Wizard, the Faithful Steward, the Spirit of the Earth, and so on. (Archetypes require capital letters, you see.) Few of them have the subtle characterization of, for example, the men of the Iliad or the early Arthurian material. Only the hobbits come across as real persons. Like pagan gods his heroes have characteristics rather than being characters in the fully developed sense. One tends to overlook this lack of characterization simply because Tolkien was the first to use this set of archetypal figures in this manner – and because he does it so well. Most people who have read Tolkien only once tend to forget who was who. What they do remember is the land, Middle Earth itself. It has all the properties – the soul and the presence, the depth, the personal quirks, and the feeling of an existence outside the books – that his characters so often lack. Those of us who have read the books many times come away again in awe of this achievement. Along the songlines of Middle Earth, Europe’s dreamtime comes alive. I found myself arguing – mentally, of course – with the Master about the lack of real people in this gorgeous landscape. In the course of the argument I realized that what mattered to me in fictional worlds was the characters. What I wanted most in a work of fantasy was real human beings, not cozy hobbits who become sentimental stand-ins for human beings once the humans have become archetypal figures. And yet, because I wanted the human beings to seem solid and real, nor more did I want a wish-fulfillment world where girls were raised equal to boys as a matter of course and could do anything they wished as adults. Tolkien had taken myth and language encodings as his starting point. The more argued with him, the more I realized that history, human history, would have to be mine. Which brings me to my last quarrel. His evil beings do evil things just because they like them. In the Silmarillion he does make it clear that Morgoth and Sauron started out as noble as any of the Valdar and Maya, but that they somehow or other “fell,” became corrupt and evil, and thus brought an abstract and implacable Evil into the universe. And what do evil beings do? Something nasty, of course, Just Because – torture prisoners, build factories, throw each other to giant spiders, and the like. Tolkien was of course a devout Christian, and the doctrine of orginal sin seeps through and stains his work. Yet when you look at reality, not theology, you see over and over again that people do evil things and become evil for reasons, ghastly flawed reasons, but reasons. They are twisted with inner pain. They think their God wants them to do things others find evil. They believe that the evil they do will bring good somehow to someone. They are raging inside because of the horrible ill treatment they have suffered at other’s hands. They fear they will suffer if they don’t strike first, and most of all, they fear their own dying. Tolkien’s orcs do display the scars from such black reasonings, but their masters in evil float somewhere above on clouds of abstract hatred. Only an over-optimistic idiot would think that Evil doesn’t walk in the world. But generally it wears human boots, nor is it cloaked in a vast grudge against the Creator of the Light. What does all this have to do with my own books? Why, everything, of course. 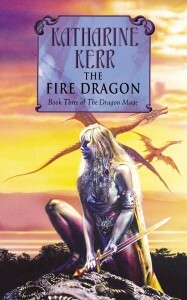 I started writing fantasy not because I believed I could be “better” than Tolkien, but because I needed to be different. And so have others who write modern genre fantasy, not imitators, but journeymen in the true sense of the word, setting out on our own because we can no longer stay with the master of our craft. Text Copyright © 2002 Katharine Kerr. All rights reserved.